Make Art for Sustainable Actions (MASA) uses participatory film, theatre and performing arts to inspire bold conversations and actions for some of society’s biggest challenges, such as HIV, gender-based violence, and nutrition. Malawi has one of the highest prevalence rates of HIV in the world. Adolescents and youth, particularly girls, have been highlighted by the government as an especially at risk group. MASA: Youth uses art and participatory approaches to put Malawian youth in control of their own sexual and reproductive health. MASA: Youth trained university and college students on participatory arts and technical information on sexual and reproductive health, and HIV in particular. The students then formed MASA Squads. The squads created performance pieces based on their own experiences and knowledge of issues faced by their peers, and the choices they have in responding to them. These performances were delivered on campus and complemented by confidential HIV testing and counselling. The MASA Squads then worked with secondary schools to explore sexual health and HIV issues. The MASA Squads worked with the secondary school students through a series of workshops using their performance pieces as a starting point. During the workshops, the secondary school students developed their own creative works on the issue. These performances were showcased in the schools at MASA Festivals. The festivals were accompanied by facilitated discussion and HTC, and the students came together with teachers, parent representatives, and others to create a school action plan on sexual health. The project also worked with secondary school teachers, training them to deliver sexual and reproductive health information in a more sensitive, engaging, and effective way. Working in partnership with the UN World Food Programme, ArtGlo uses participatory theatre to engage communities on issues affecting food security. Successive climate shocks left nearly 6.7 million people in Malawi facing critical food insecurity in 2016-17. We created the Theatre for Healthy Living in partnership with the World Food Programme (WFP) to empower communities to take action on issues contributing to food insecurity, using Theatre for Development (TfD). Following intensive training, local drama groups created partic­ipatory plays addressing issues including dietary diversification, water, hygiene and sanitation, as well as gender and protection, which they toured around surrounding communities. Each performance linked local people’s experiences with information provided by WFP, and culminated in the production of Community Action Plans, where community members developed solutions to the issues raised. The project was successfully piloted in 2016 in Phalombe and Chikwawa. In 2017 it was rolled out to more communities in those same districts- with drama club members trained during the pilot project now training new groups- and also introduced in the districts of Zomba and Machinga. The project was run in close collaboration with WFP’s Cooperating Partners- Emmanuel International (EI), the Adventist Development and Relief Agency (ADRA) and World Vision International (WVI). In the 2017 project, 16 drama groups conducted 115 performances, reaching an estimated 85,000 people. The MASA Film Project is a collaboration between the Art and Global Health Center Africa (ArtGlo), Dignitas International (DI), Malawi Ministry of Health and independent film maker Tom Gibb. As a part of MASA: Rural, some of the performances were filmed. In 2014, ArtGlo partnered with Dignitas International and the Malawi Ministry of Health on a pilot screening programme, reaching an estimated 10,000 community members through 5 five facilitated screenings. The film was brought to other communities for participatory film screenings, in order to mobilise communities, local leaders, and healthcare centres to collaboratively address stigma, discrimination, and fear around HIV. The ultimate goal is to break the social, cultural and structural barriers to testing, treatment, and care in Malawi. Created by independent filmmaker Tom Gibb, the MASA: Film tells the story of a family’s struggle with HIV in a village in Malawi. Interviews with the actors, on whose experiences the film is based, are interwoven with footage of the story itself. The actors also facilitated community-wide discussions that followed each screening. Screenings culminated in the creation and execution of Community Action Plans, encouraging community members to propose and implement locally and contextually appropriate solutions. 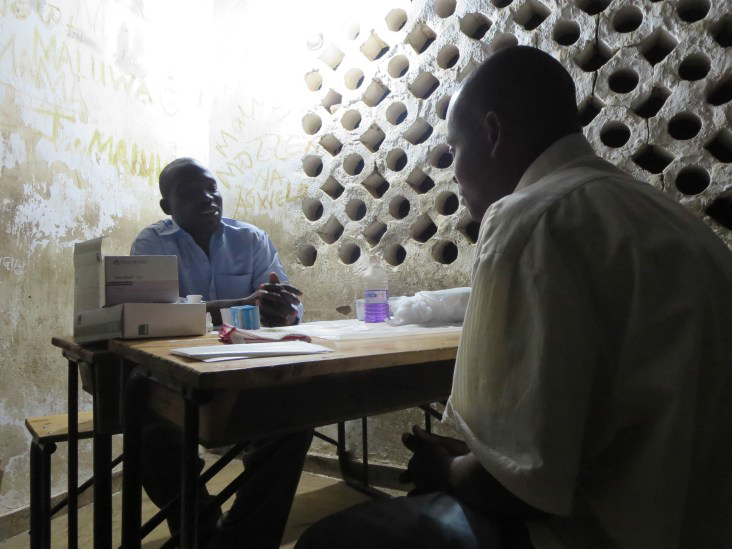 Each screening also included free on-site, moonlight HIV testing and counselling. MASA: Rural launched in 2011 as an intensive, multi-week intervention. Drama students at Chancellor College and community members living with HIV collaborated to create a powerful musical drama based on real-life experiences. The performances took place in the villages surrounding a health centre in rural Malawi and included personal testimonies and community discussions. After each performance, there were workshops to train local drama groups to create their own performances. MASA: Rural culminated in a theatre festival, which attracted thousands of people. As MASA: Rural evolved, the original HIV-positive participants became facilitators and drama students were fazed out of the programme. Community action planning and mobile HIV testing were also incorporated. Later, the MASA: Film was created to expand the programme’s reach. Download Theatre for Healthy Living story booklet.